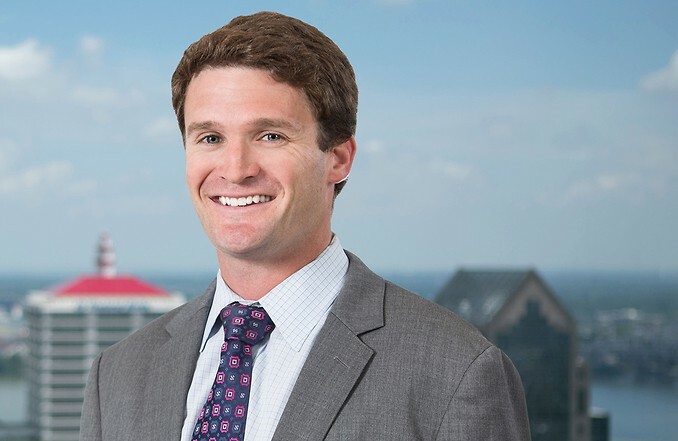 Daniel W. Redding is a member of the litigation and intellectual property litigation practice groups and serves as the Attorney Recruitment Chair for Middleton Reutlinger. He represents clients in a broad range of business disputes, with a particular focus on intellectual property litigation. Mr. Redding also has significant experience in administrative proceedings as well as state and federal appellate courts. Represented a local business in the District of Utah in defending against claims of patent infringement, trade secret misappropriation, and breach of contract related to a process for preparation of ice cream using liquid nitrogen. Obtained dismissal of all claims and an award for the client of approximately $361,000 as sanctions, which represented the client's full attorneys' fees, costs and expenses incurred in the case. Mr. Redding served as lead counsel in preparing and arguing the motion for sanctions. Represented a leading provider of leak detection software for the petrochemical industry in a case in the Southern District of Texas involving numerous patent, copyright and contract claims. The case was successfully resolved. Represented a manufacturer of handheld power tools in a case in the Eastern District of Wisconsin involving multiple patents related to lithium battery packs. The case was successfully resolved. Represented a medical device manufacturer in the Western District of Michigan in defending against claims brought by a large, national manufacturer related to a patent for medical waste collection. The case was successfully resolved. Represented a national transportation company in defending against claims under the federal False Claims Act in a case in which the United States intervened on behalf of a Relator. The case was successfully resolved for a small fraction of the nearly $100 million in damages sought by the United States. Represented a telecommunications sales agency in an arbitration against a telecommunications company involving claims that the company had failed to properly pay commissions due under an agreement. The arbitration was tried to an award and the client received an award of nearly $4,000,000. Represented local clients in an arbitration related to a real estate purchase contract. Mr. Redding served as lead counsel at the four-day hearing and obtained an award in the clients' favor. Represented a Kentucky company specializing in sales of industrial vibratory conveyors in contract dispute with conveyor manufacturer. Mr. Redding served as lead counsel and obtained summary judgment in the client's favor on all asserted claims and counterclaims.